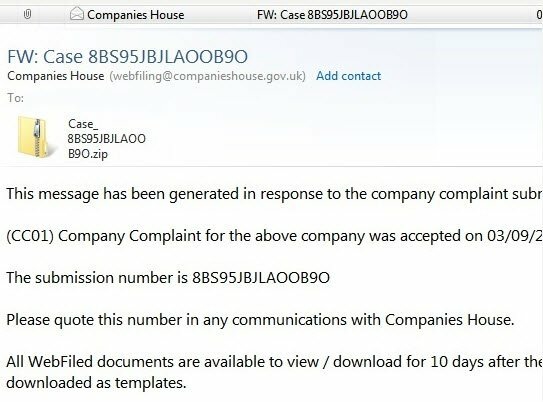 This message has been generated in response to the company complaint submitted to Companies House WebFiling service. (CC01) Company Complaint for the above company was accepted on 06/09/2013. The submission number is KA8BS2L6K0C7MN3. Please quote this number in any communications with Companies House. All WebFiled documents are available to view / download for 10 days after their original submission. However it is not possible to view copies of accounts that were downloaded as templates. Having had recent dealings with Companies House, my client had no reason to suspect anything. He opened the attached zip file, which didn’t appear to contain anything, so he forgot about it. this. Encryption was produced using a unique public key RSA-2048 generated for this computer. To decrypt files you need to obtain the private key. The single copy of the private key, which will allow you to decrypt the files, located on a secret server on the Internet, the server will destroy the key after a time specified In this window. After that, nobody and never will be able to restore files. To obtain the private key for this computer, which will automatically decrypt files, you need to pay 300USD/300 EUR/similar sEnilar amount ii another currency. Click Next to select the method of payment and the currency. Any attempt to remove or damage this software w lead to the immediate destruction of the private key by server. He called me about this, and also reported that his co-workers were having difficulty opening files. Since he was sharing a 200gb Dropbox with his coworkers, and it turned out that no not only were his files (photos, videos, word/excel documents, Zip files, PDFs etc) were all encrypted on his computer, but these were steadily being uploaded to Dropbox and overwriting the previous good copies of the documents. At first this appeared to be normal “Scare-ware” where the main effect of the virus is to scare the user into paying some money. 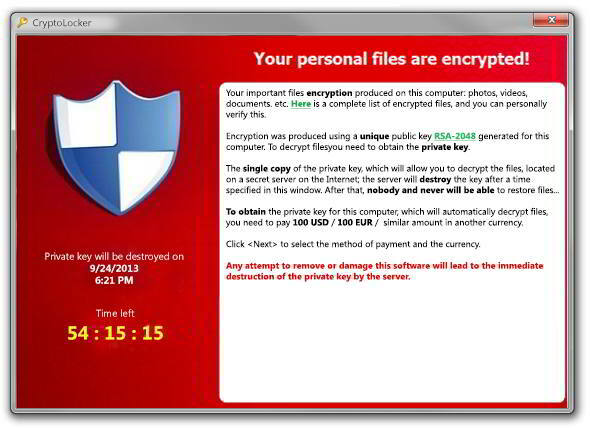 It seemed unlikely that the encrypted files would be un-encryptable, as in previous cases a computer infected scareware can quite easily be cleaned and restored to normal. Firstly we disconnected the infected machine from the internet, as the encrypted files were being slowly uploaded to Dropbox. My client had noticed that the Dropbox notification icon – which normally showed that it was uploading just a few files – showed that Dropbox was busy uploading 19,000 files. Since of the most valuable files, most were contained in Dropbox. 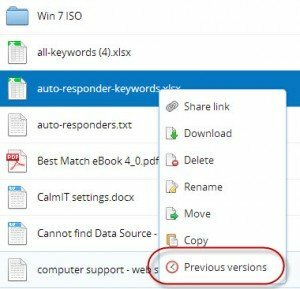 With Dropbox you can roll back to previous versions of files, so theoretically any damage that had been done could mostly be undone. We purchased a subscription to Drobox’s “Packrat” – which keeps previous versions indefinitely. 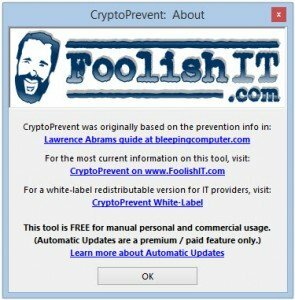 I consulted the forums on Bleepingcomputer.com where Cryptolocker was being discussed (this was a breaking situation) and to assess the extent of the damage I downloaded the ListCriLock programfrom bleepingcomputer.com which lists the files which have been encrypted. It appeared that approximately 25,000 files had been encrypted, and so approximately 6,000 of these had been uploaded to Dropbox. So at least, when someone encountered an encrypted file, it was possible to log into Dropbox on the web and restore the previous version of the file. However this is a slow process.